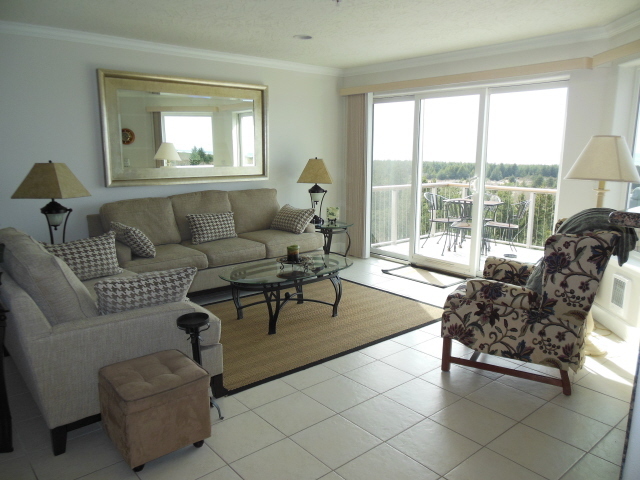 This oceanfront condo with a 180 degree captivating view is situated on a high bluff overlooking the pristine Seaview dunes. Perfect for those looking to unwind in comfortable first-class accommodations, Vista Del Mar is beautifully appointed with elegance and luxury. 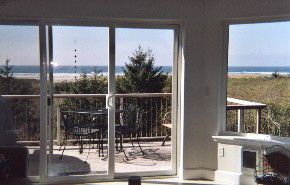 Ground level entry to the main floor includes a 1/2 bath with an open livingroom/dining area and kitchen offering a breath-taking view of the Pacific Ocean and our unspoiled sandy beach. Venture through the glass patio doors in the livingroom to a private balcony furnished with a gas grill and seating area. 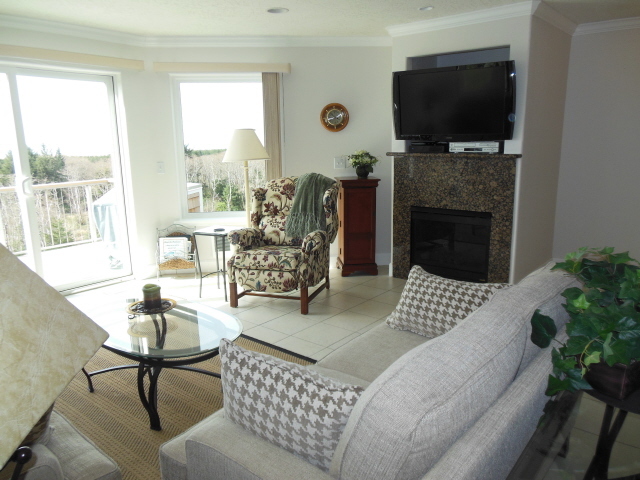 The livingroom offers a comfy couch and loveseat, a gas fireplace and TV with VCR/DVD. 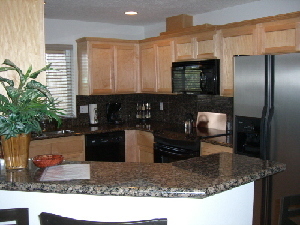 The kitchen features granite countertops and a serving bar as well as quality cooking and serving utensils. All new appliances top off this well-equipped galley. 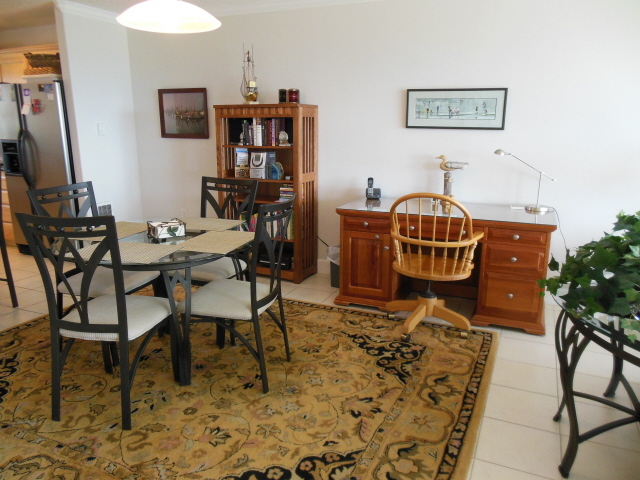 As you journey up the stairs, you'll find two bedrooms, each with a queen bed and a full bath. 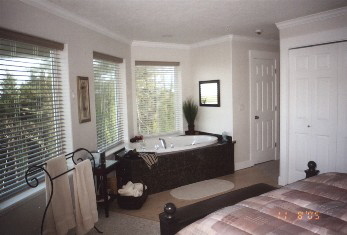 The oceanfront bedroom contains a jetted tub for a delightfully luxurious soak, complete with ocean view. 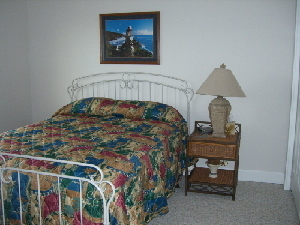 The second bedroom includes a TV/DVD player for private viewing of your favorite movies. 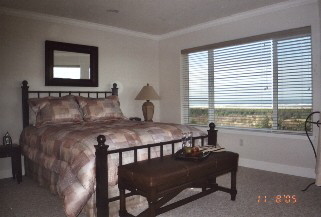 This unit is at the end of the building providing additional windows to enjoy the scenic vista. Enjoy a short walk to the beach - less than 15 minutes down the path. Even closer is an access point for our unique Discovery Trail - a paved walking/bicycling trail that meanders through the dunes all the way to north Long Beach.